YouTube analytics are a huge part of growing your YouTube channel. But the problem is that you're a busy person! There's so much content to dig into and you don't have a lot of time to really track it all. 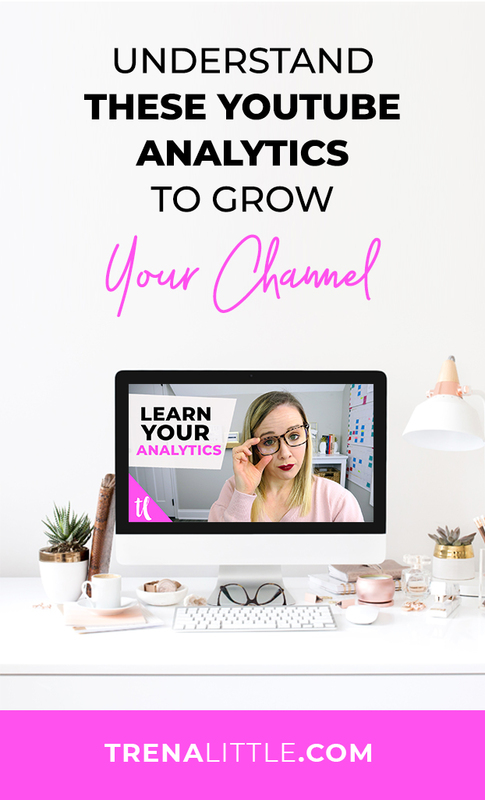 That doesn't mean you can't use your YouTube analytics to help you grow! In this weeks video, I'm going to show you the top five YouTube Analytics you need to track in order to create the strongest strategy for YouTube. What does that mean? We're going to dig into learning your audience's behaviors so you can tweak your videos and strategy to get more views on YouTube! You've filmed your video and uploaded it to YouTube and now you're ready to see your YouTube views climbing. Except you're stuck. You feel like you're doing all the right things and for what? Crickets! In this week's video, I'm going to be sharing with you how you can get more views on your videos now. Without scamming the algorithm. Without buying them. Without doing anything that is ingenuine. Instead, we're going to focus on strategies that will increase YouTube views so that you can reach that goal of getting more views in 2019. We're going to dig into YouTube tips that you can put into action right now so you can start seeing results. Are you ready? Growing your YouTube Channel can feel like a challenge. Especially when you're trying to get your first 1000 subscribers! After all, YouTube can feel like jumping headfirst into an ocean, there's so much content! In this week's video, I'm going to be showing you how you can get your first 1000 subscribers on YouTube using easy to implement practices. We're going to learn how you can inspire your viewers to take action each time they watch your videos. Because you have amazing content. Isn't it time for the rest of the world to see it?